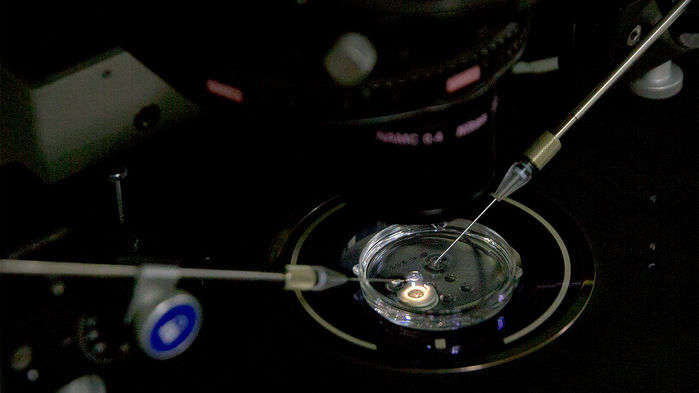 A prominent group of 18 scientists and bioethicists from seven countries has called for a global “moratorium” on introducing heritable changes into human sperm, eggs, or embryos—germline editing—to make genetically altered children. The group, which published a commentary in Nature today, hopes to influence a long-standing debate that dramatically intensified after China’s He Jiankui announced in November 2018 that he used the genome editor CRISPR to try to alter the genes of babies to be resistant to the AIDS virus. Any nation that wants to greenlight a human germline edit by its scientists, the 18 authors declare, should have to give public notice, engage in an international and transparent assessment of whether the intervention is justified, and make sure the work has broad support in their own nation. “Nations might well choose different paths, but they would agree to proceed openly and with due respect to the opinions of humankind on an issue that will ultimately affect the entire species,” they write. They strongly encourage that nonscientific perspectives, including those of people with disabilities and religious groups, be included in the discussion. And they stress that they are not calling for a moratorium on genome editing of somatic cells, which would not affect future generations. Nor are they proposing a permanent ban on human germline alterations, but instead a fixed period—“five years might be appropriate,” the group writes—in which governments would pledge not to allow it. This moratorium, they argue, would “provide time to establish an international framework” to proceed, which might include a “coordinating body,” perhaps under the aegis of the World Health Organization (WHO), that would discuss proposals by nations that are considering permitting a specific germline edit. A Nature editorial accompanying the commentary does not explicitly endorse the call for a moratorium but argues for “an open registry” of ethically vetted and approved basic research studies that involve gene editing embryos, sperm, or eggs. It also suggests that a mechanism be created that allows scientists “to flag up potentially dangerous research.” At least a half-dozen scientists knew He planned to edit and implant human embryos—or indeed already had—but, at his request, kept the information confidential. Several major national science academies have committed to analyze the issue over the next year. “There is the urgent need for the framework,” says Victor Dzau, president of the U.S. National Academy of Medicine in Washington, D.C., who co-authored yet another letter in this week’s issue of Nature detailing NASEM’s plans to address germline editing. (It notably did not mention the moratorium issue.) And WHO on 18–19 March will convene its newly formed Expert Advisory Committee on Developing Global Standards for Governance and Oversight of Human Genome Editing. Co-signatories on the Nature commentary calling for a moratorium include CRISPR pioneers Feng Zhang of the Broad Institute in Cambridge, Massachusetts, and Emmanuelle Charpentier of the Max Planck Unit for the Science of Pathogens in Berlin, as well as Nobel laureate Paul Berg of Stanford University in Palo Alto, California. Berg and Baltimore both helped organize the famed Asilomar conference in 1975, often viewed as a model for dealing with new and potentially risky biotechnologies. It proposed regulations on then-controversial recombinant DNA experiments, including bans on work with dangerous pathogens. Jin-Soo Kim of Seoul National University, another member of the organizing committee of the Hong Kong summit, similarly questions the need for a moratorium. “I think that a thorough and transparent investigation of the He case followed by appropriate punishments would be more effective to prevent irresponsible use of gene editing,” Kim says. Wei Wensheng of Peking University in Beijing, who does CRISPR research and is a co-signer of the call for a moratorium, says he’s particularly concerned about preventing the “problem and controversy” from overshadowing the “rightful use” of gene therapy with CRISPR that targets somatic cells. Next Post Curing HIV just got more complicated. Can CRISPR help?